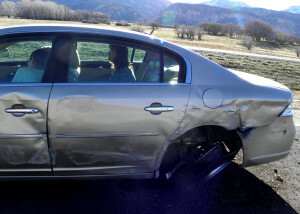 Iron County— A Wednesday morning spinout broke the rear axle of a 2006 Buick Lucerne and left it stranded in the southbound fast lane on Interstate 15, forcing the Utah Highway Patrol to close the lane for 30 minutes near milepost 45. 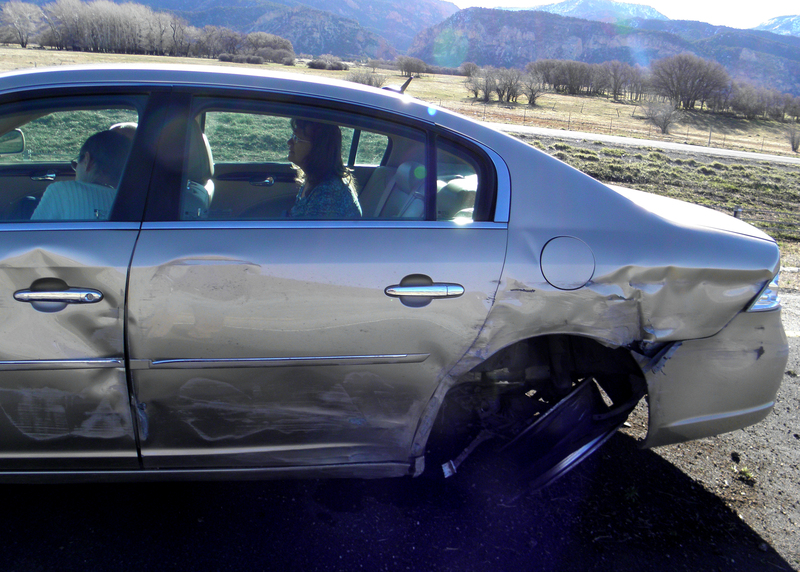 The female driver and her husband were heading to the Church of Jesus Christ of Latter-day Saints Temple in St. George with another passenger when the accident occurred. No one was injured. Trooper Bambi Baie said the occupants of the Buick told her they believed the cause of the spinout was a flat tire, but there were no marks on the road to indicate that was the case. “With that being said, their marks would have been in the dirt so you wouldn’t have seen the skid marks from a back tire if the back tire went flat,” Baie said. The driver of the Buick was traveling at 80 mph, the posted speed limit in the area, when the road began to feel rough. 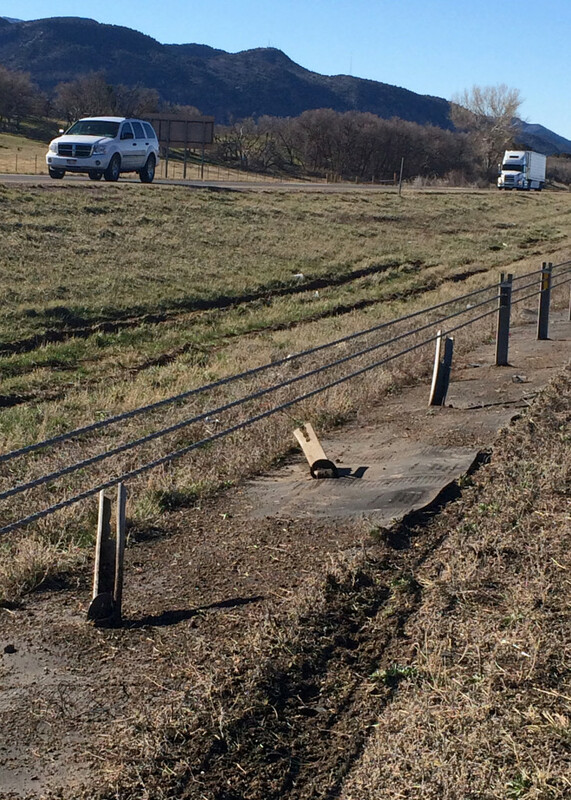 At the time, the Buick was in the right travel lane, Baie said, but the force of the vehicle sent them careening into the left passing lane and then ultimately into the median guardrail where they spun around 180 degrees clockwise and came to a stop in the middle of the left lane. 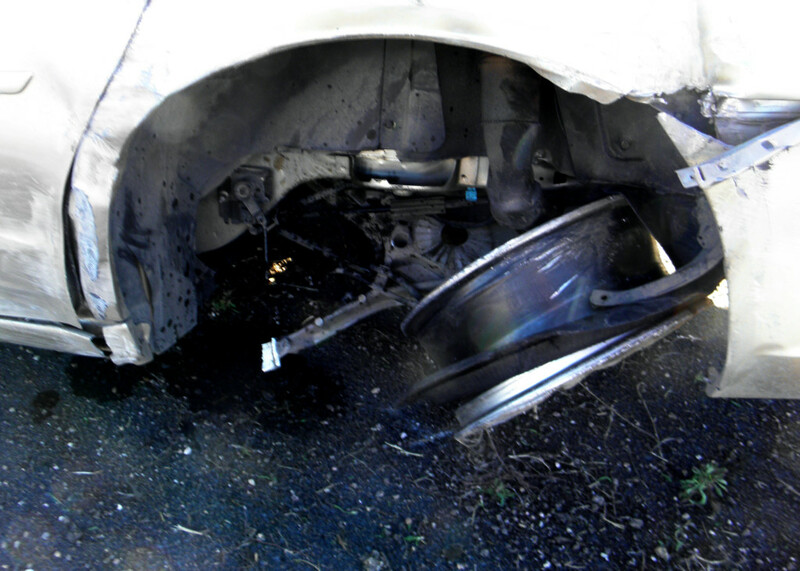 A blown tire typically would not cause a vehicle to spin in this way, even at 80 mph speeds, unless the driver slammed on the brakes, Baie said. At first the trooper was planning to attempt to push the vehicle out of the road with her push bumper, she said, but once she saw the damage to the back axle she knew that wouldn’t work. 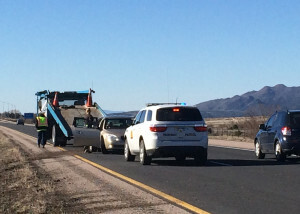 Iron County Sheriff’s Deputies responded to the scene to close the left passing lane and help divert traffic to the right lane until the Buick could be towed away. Despite the lane closure traffic moved through the area smoothly. 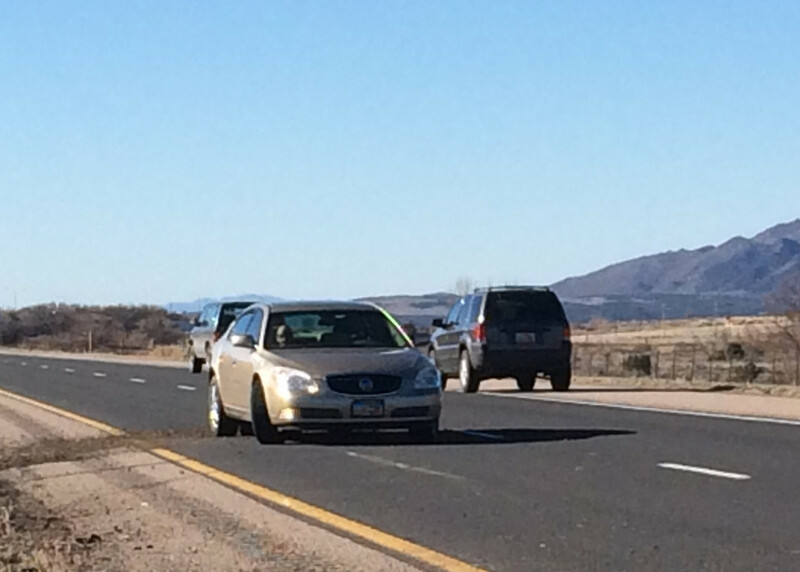 Once the Buick was towed and I-15 was reopened Baie said she drove the couple back to their Cedar City home. Deputy Doug Twitchell of the Iron County Sheriff’s Office transported the passenger.